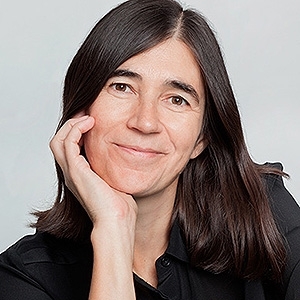 María Blasco did her PhD work at the “Severo Ochoa” Centre for Molecular Biology in Madrid. In 1993 moved as a postdoctoral researcher to Cold Spring Harbor Laboratory, NY, USA, and in 1997 she returned to Madrid as group leader at the National Centre for Biotechnology (CNB). In 2003, she joined the Spanish National Cancer Research Centre (CNIO) as head of the Telomeres and Telomerase Group, and since 2011, she is Director of the Centre. In 2010, she founded Life Length, a biotechnology company whose activity focuses on the commercialization of the Telomere Analysis Technology to pharmaceutical companies, hospitals, clinics and research laboratories interested in measurement services of telomeric length, as indicators of the biological age and the state of health of the organism. She has received several awards among which stand out the Josef Steiner Cancer Research Foundation Award (2003), the Santiago Ramon y Cajal National Research Award (2010) and the IDEAS Award to Innovation and Social Transformation (2011).